I finished reading the Checklist Manifesto by Atul Gawande on the weekend. What a read! It has been surprising on many fronts. And I have known the premise of this book for a couple of years. My favourite aspect of the book is that the answer is mentioned right up front. It is in the title. At the end of the first chapter, he tells you what he is arguing for. As I read the last sentence of the chapter I admit I was thinking “Is that all?”. Yet I was hooked. This book is well written. Another surprising aspect for me is how strongly it finished. There is a story, his own story, linking all the chapters. There are subplots throughout that support the overall story. This is his journey, with all its ups and downs. There is intrigue. And there are lessons everywhere. Atul Gawande is a General Surgeon in Boston. He becomes interested in complications relating to surgery, and how to reduce them. What follows in the book is his journey. A journey that culminates in being asked by the World Health Organisation to lead a project on a global scale to look at these issues. To do this he looks at what other professions do. At how they manage their own complexity. He talks to builders, structural engineers, aeronautical engineers, pilots, and investors from the word of finance. He talks directly to the process with WHO and the book finishes at the end of the study. That is why it is so interesting. Why it finished strongly. Here is a man in the arena trying this idea out and talking about the lows and the highs. I thought I knew what the book was about. I thought I knew when to make the case of a checklist. How superficial my understanding was. What follows are my thoughts from the book. I encourage you to read it to get the nuance and the bits in between. Underpinning the whole book is the premise that we should be wary of over-engineering solutions. Sometimes the best solutions are the simplest. Sometimes using software and apps makes it more complicated. Makes it harder, not easier. This reminds me of a point made in the Personal MBA by Josh Kaufman that you cannot simply automate a process. You need to have a system first. When you have a system first, you can automate it second. Note the use of the word system here does not mean software. It means a connected set of ‘things’ that work together. First, Checklisting will help you define a System for a process that hasn’t yet been formalized—once the Checklist has been created, it’s easier to see how to improve or Automate the system. The most resistance will come from those that believe they can do it all. Those that believe they do not make mistakes. And those that believe they are above process. Getting people to admit this is hard. Some professions, like aviation, have a culture established, others don’t. As we learn more, and build more, and improve more, the processes and tools we use become more complex. At the same time to deliver more consistent outcomes and to handle the complexity we specialise more. We rely on specialists more. To specialise you need to narrow your focus. This increases the complexity as more people, parts and information are involved. Knowledge has both saved us and burdened us. As the complexity increases, it is harder for one individual to manage the whole process and make all the decisions. One person cannot be the expert in all facets of the process and the subject area. We become more reliant on others. This increases the communication required. Egos must be left at the door. You need your team. The investigators at Johns Hopkins and elsewhere had also observed that when nurses were given a chance to say their names and mention concerns at the beginning of a case, they were more likely to note problems and offer solutions. The researchers called it an “activation phenomenon.” Giving people a chance to say something at the start seemed to activate their sense of participation and responsibility and their willingness to speak up. There are plenty of TED talks that teach us how bad our memory is. We need to get this. No matter how clever we think we are, how good at remembering things we believe ourselves to be, we are wrong. Four generations after the first aviation checklists went into use, a lesson is emerging: checklists seem able to defend anyone, even the experienced, against failure in many more tasks than we realized. They provide a kind of cognitive net. They catch mental flaws inherent in all of us—flaws of memory and attention and thoroughness. And because they do, they raise wide, unexpected possibilities. 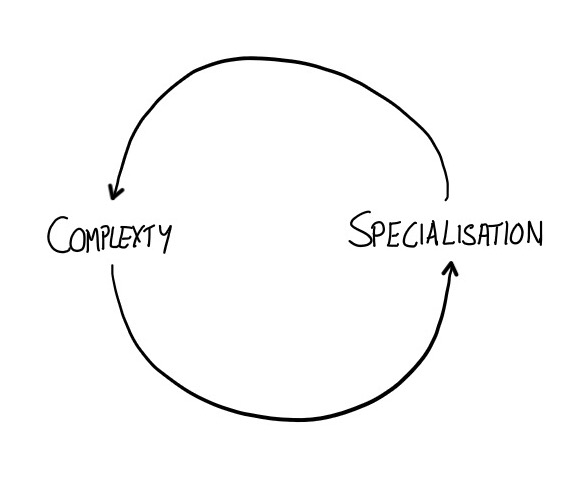 As the complexity and specialisation increases, we cannot rely on everyone to remember everything all the time. Mistakes get made. We forget to do things. We might believe we did them, but that is our memory playing a trick on us. That is part of being human. Have you ever walked away from your car or house and had to go back and check that you locked the door? For me happens by confusing my memory of locking the door yesterday with what I just did a minute ago. 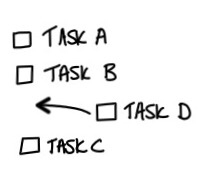 The checklist reminds us of the tasks we need to complete, and the order they need to be done in. I have my own checklist I run every single day. Multiple times a day. I have been doing it for years. When I leave the house I say to myself “keys, wallet, phone”. When I was a student it was “keys, wallet”, mobiles weren’t common then. When I was in London it was “keys, wallet, phone, and travel card”. My hand moves to the pockets that I carry these items in, to physically check they are there. This process happens subconsciously and it has saved me many times. A couple of times as a student my wallet fell out of my pocket when getting out of my car. I got three meters away before noticing. That is a simple checklist. Each time you run through a checklist you adjust it based on what you just observed. The checklist learns. It gets better. I have used run books (a checklist) on multiple projects. I feel more confident with them. On one project, each time we would move environments for development and testing we would go through the run book. When it came to go-live we had it down. We had amended the order of tasks. We knew what to expect and how we would resolve the issues we expected. We were more confident. The confidence came from testing and experience, and recording those lessons in the run book (checklist). Do You Really Want To Figure it Out Again? This is the argument I heard a couple of years back. Have you ever found yourself figuring something out again, and again, and again, and again. Something you do regularly? I have seen whole applications put in to help people do this. They are great applications. They do a lot of things. But often the main benefit is in the discipline the application brings. That discipline can be achieved with a piece of paper. A simple list of the things that need to be done. Yes, it may still be manual. But the leverage is significant. They are perceived as bureaucratic and inflexible. As with everything, there are good and bad checklists. A checklist is a tool, not a crutch. It supports the professional and allows them to focus on the tasks that have the most value. I find this whole topic interesting because the solution is so simple. Nearly everyone has experienced the benefit of using a checklist. Yet all of us, me included, resist. We know, but we won’t do. The answer can’t be this simple. No way. If the answer is so simple then we can manage without it. We are intelligent. No way can it be this easy. Perhaps that was true once. The world is getting more complex though. We can’t do it all. I am going to close with my favourite passage. This sums up his experience. He is talking about the results of the study at eight hospitals around the world where they are trying out checklists in surgery. They are surveying the participants, the doctors, nurses, and other members of the surgery team. This last question is fantastic! Nonetheless, some skepticism persisted. After all, 20 percent did not find it [checklist] easy to use, thought it took too long, and felt it had not improved the safety of care. Then we asked the staff one more question.